Online Training...Is it right for YOU? Are you motivated to finally make a change? 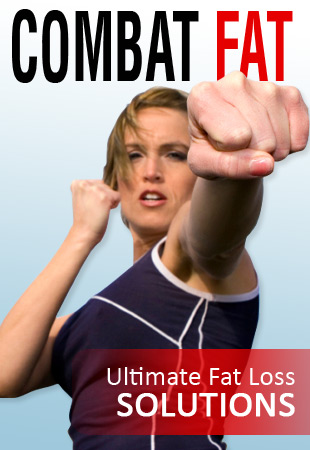 Are you tired of struggling with your weight loss? Are you confused by all the different workouts you see in magazines, and all the different advice you get from friends and others at the gym? It will take work and dedication on your part. You can’t expect to pay me money to send you workouts and help you figure out how to change your eating habits, and you automatically start losing weight without YOU actually DOING the workouts and actually CHANGING your eating habits. You have to be honest with yourself FIRST. We are going to have to talk on the phone. I need to hear the sincerity and nuances in your voice, and I want you to hear in MY voice the belief that I have in YOU to succeed! You have to be self-motivated. This is a must. This is why most people do not make it with online training. I can provide you with a plan, but I’m not there beside you, making sure you are following through. This is going to require you to make changes in your life. I will work with you to determine what got you where you are now, so you can replace the bad habits with good habits. This will take time. You didn’t get in the shape you are in now overnight, and you are not going to magically lose weight overnight. But I will stick with you and help you find your way! You have to be consistent. You have to stick with the program! You can’t workout really hard for 3 days to make up for not working out for a week. You can’t eat 2 great meals in a day, and mindlessly eat junk the rest of the day. It’s up to YOU to follow the plan! If you can’t convince me that YOU ARE WILLING TO FOLLOW MY ADVICE, then I will not work with you. It would waste not just my time, but yours as well. Sorry. I’m too busy to babysit and listen to complainers and whiners. 1) You won’t see much. 2) You will continue to be frustrated and it reinforces in you that you "failed". 3) On top of that, you will think I FAILED you as a trainer – you may talk negatively about fitness trainers in general, and how they don’t “work”. I don’t want to any of these things happen! Does one or more of the following describe YOU?? Have you been going to a gym for a few months and not seeing the results you want? You just need to adjust what you’re doing! Do you work out really hard once or twice a week to “make up” for skipping days, or for eating poorly? Have you been going to the gym every day for weeks on end and you are not seeing a change? You’re working out too long and not correctly – let’s fix it! Are you struggling with making food choices? Do you hate “dieting” because you are always hungry? You’re doing it all wrong! You should NEVER be hungry. Find out all about your exercise, eating and medical history as it relates to your goals. Design workouts that help you achieve exactly what YOU want, not what the trainer THINKS you want. Understand that what you eat is more important than the workouts when it comes to the battle of the bulge. As a trainer, I can’t perform magic. Losing weight is like baking a cake…you have to follow a recipe. I can help you figure out YOUR recipe for your situation…I can show you what exercises you SHOULD be doing with the equipment you have (even if you have NO EQUIPMENT)…I can show you the BAD habits you need to get rid of, and how to create NEW habits. Treat your body like the wonderful and magnificent temple that it is – when your body is running like the fine-tuned machine it is supposed to be, it will positively affect EVERY OTHER AREA OF YOUR LIFE! Not only does Move More Eat Better provide the coaching for quick, effective exercise, we also understand that getting control of your eating is the key to your weight loss. That’s why we now work with Registered Dieticians to help you remove the bad food habits and replace them with flavorful, fat burning habits! Your body is meant to MOVE! Our early ancestors had to hunt fish and gather their food – and THEIR food wasn’t poisoned with chemicals and processed! They didn’t need to exercise and they didn’t need to worry about their food. (Well, I guess they did have hunt it and gather it. That may have been a little tough in the winter). Unfortunately, WE need to actively seek out physical movement, and WE have to carefully pick and choose our food if we want to sculpt a firm, fit body. …eating pizza and nachos, flipping through the mindless channels of the TV, wondering why we feel stiff, sore, bloated and wake up every day with no energy. NOW is the time to take back your life! I challenge you to reverse this cycle you’re in…YOU CAN remake yourself, starting today. And you don’t have to do it by yourself. Can you dedicate 20-30 minutes, 3-5 times a week towards remaking yourself? Are you ready to invest in the most important thing you own…YOU?? Are you ready to replace bad habits with good habits? And remember: if you are not happy with my services then I will give 100% of your money back. Contact me here and tell me WHY you want me to help you, and WHAT you want to accomplish. YES! I am interested in changing my body and changing my LIFE!